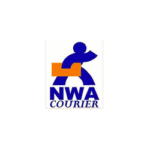 America’s Best Courier and Delivery Service, Serving Little Rock and Central Arkansas. We are TSA Trained and Compliant, offering Next Flight Out services. Courier service available 24 hours a day 7 days a week. Nationwide Same day, next day and ‘Rush’ courier from Arkansas. Book a courier via our website major credit cards accepted.